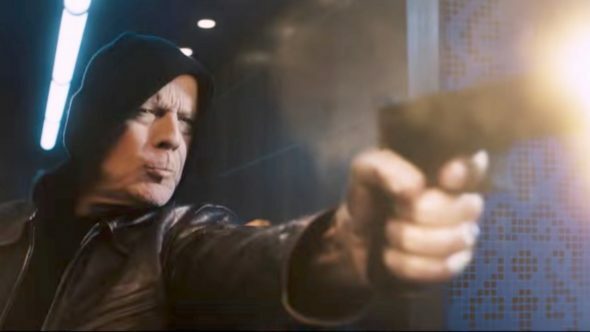 Many things about this Death Wish reboot make you wonder why, in the wake of current events, the film’s release might not have been postponed a bit. Waiting wouldn’t have made it a better film, just a little less tone deaf. But hell, director Eli Roth doesn’t have time for any of that sensitive crap. He’s coming in guns hot, seemingly confident he’s crafting a self-awareness that must be invisible to the rest of us. Kersey’s success at keeping his identity hidden is one of the many eye-rolling conveniences in Joe Carnahan’s script, all minor nuisances next to how far Roth and Carnahan end up from where they thought they were going. While Brian Garfield’s original novel probed the futility of vigilante justice, Charles Bronson’s string of Death Wish films moved the Kersey character from anti-hero to overtired cliche. Roth seems to think he’s revamped the franchise as some sort of satire, but he’s wildly off the mark. That would require smart humor and strategic nuance, and Roth (Hostel, The Green Inferno) just doesn’t work in shades of gray. The humor, thanks to a couple of corny detectives (Dean Norris and Kimberly Elise), is straight outta sitcoms. Nuance? Meet bombast. Kersey saves lives by day and takes them at night! Do you get the contrast? Do you, really? Here’s a split screen montage to help you understand. As Kersey points out that the problem is cops who just aren’t violent enough, Roth intersperses arguments from talk radio hosts in a feeble attempt to counter the film’s overriding message. It’s just literal lip service. The finale, a “good guy with a gun’s” wildest fantasy, cements the film’s worldview. And even if you’re fine with that, you can find it in plenty of other films with better execution.